Mole is a multipurpose visualizer for VisualStudio. Mole is designed to not only allow the developer to view objects or data, but to also allow the developer to drill into properties of those objects. Mole allows unlimited drilling into objects and sub-objects. 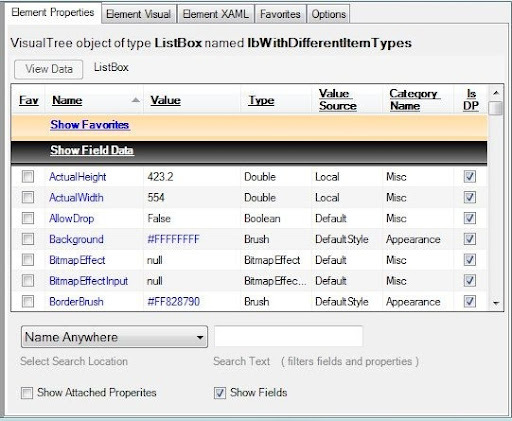 When Mole finds an IEnumerable object, the data can be viewed in a DataGridView or in the properties grid. Mole easily handles collections that contain multiple types of data. Mole also allows the developer to view non-public fields of all these same objects. 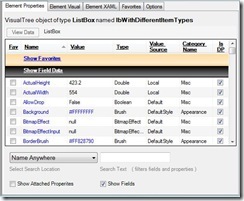 You can learn a lot about the .NET framework by drilling around your application's data. Great work from Andrew Smith, Josh Smith and Karl Shifflett.